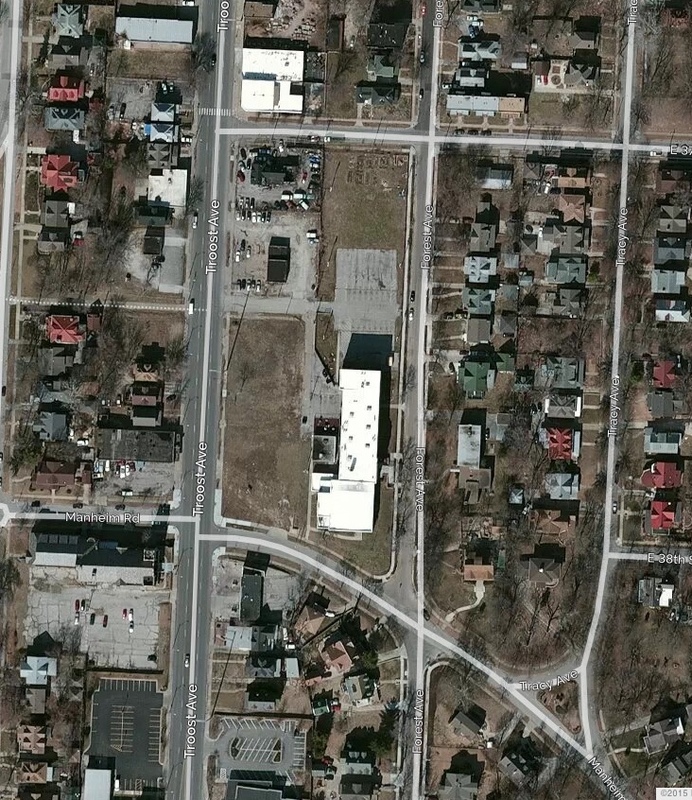 Do you remember the 3700 block of Troost and Forest? 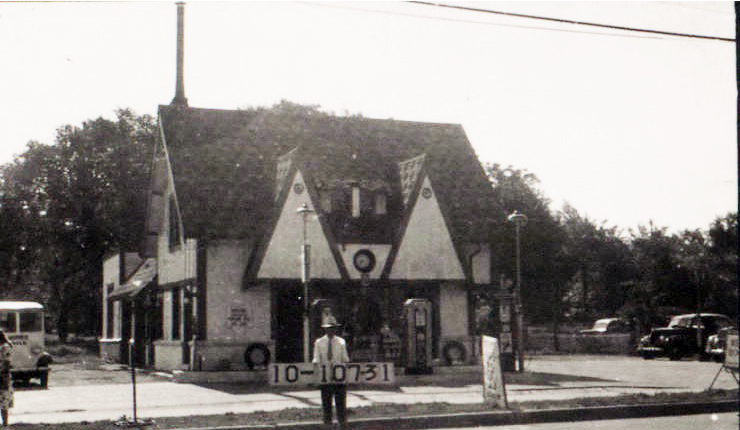 A 1940 photo of the 3700 block of Troost shows a gas station, but the block is full of history. It was once the home of J.J. Squier, a man who bet his future on Kansas City and made a fortune doing it. It was also the site of Lillis High School, a Catholic educational facility, which was later taken over by De La Salle Education Center. The 3700 block of Troost and Forest today. The large building is DeLaSalle Education Center. The 3700 block of Troost and Forest today plays an important role in Kansas City life, as the site of the DeLaSalle Education Center. The same block holds other important history: it was once the home of a man who made his fortune by believing in Kansas City’s future, and later the home of a Catholic high school dedicated to serving all children in the urban core of Kansas City. As part of our Uncovering History Project, the Midtown KC Post is taking a look at the 1940 tax assessment photos of each block in Midtown. This week we’re focusing on the block from Troost to Forest, from 37th Street to Manheim Road. Often these stories rely heavily on these photos, but many of the photos of this part of town aren’t available. In fact, the only photos from the 1940 collection of the block are three images of auto-related businesses that dominated the block. 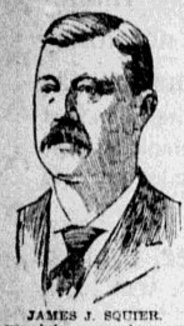 J.J. Squire’s obituary photo from 1900. However, newspaper articles and old maps tell the early history of the block. William Stewart amassed 100 acres of land between 36th and 42st, Troost and Paseo, in today’s Squier Park neighborhood. In 1881, he sold sixty acres of the land to James J. Squier. Squier’s confidence in the future of Kansas City paid off for him. When he died, his estate was estimated to be worth between $350,00 and a half a million dollars. 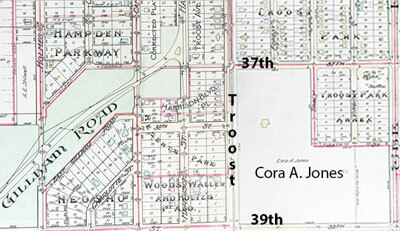 A 1907 map shows residential development going on all around the Squier Property (which then belonged to Squier’s daughter Cora A. Jones). From Tuttle & Pike’s Atlas of Kansas City. Squier left the property to his daughter, Cora A. Jones, whose husband Robert Jones developed Squier Park. 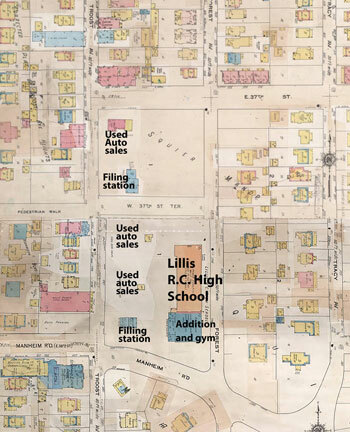 This 1909-1940 Sanborn Fire Insurance map shows the block when it was dominated by the Lillis High School. 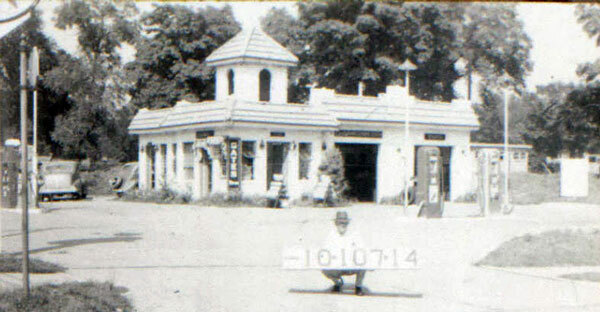 Troost Avenue was dotted with used cars lots and gas stations during this period. In 1941, the Lillis High School opened on the former Squier home site. A year earlier, four Benedictine Sisters from Atchinson, Kansas, under the leadership of Sister Jerome Keeler, had been sent to open the school. Originally on the second floor of a business building at 3627 Main, the school moved when the building facing Forest was completed. Sister Mary David McFarland, who helped found Lillis, told the Kansas City Star in 1976 Sister Jerome set the tone of the school’s philosophy to serve the needs of the central city. When Lillis closed in 1979, the DeLaSalle school moved in. Do you have memories or more details about this block of Troost or Forest, the Squier home or the Lillis School? Please share them with our readers. Two more of the auto-related businesses on Troost in 1940. The Cleveland Chiropractic College of KC was located very near here, on the east side from about 3680 to 3700 Troost. Looking on Google street view it appears only the upper division class rooms and the dissection lab remain today, with the class room now being an Islamic Center. This is strange seeing my old neighborhood. I lived on 39th & Forest in the fifties and sixties. I went to St James Grade School on 40th & Tracy from Kindergarten to 8th grade and Lillis High School and graduated in 1963. I think when I was in high school, the location of 37th & Troost was the “Subway”, which sold subway sandwiches and coke. I had been there several times to get a coke and watch the boys. It was a hang out for the high school kids. I stumbled upon this article by chance, and enjoyed reading it. I have several photos of the property including house and grounds when it was owned by the Squier/Jones families, should you be interested. I also have a better photo of J.J. Squier. Point of correction, Cora’s (my great-grandmother) middle initial was S, not A.